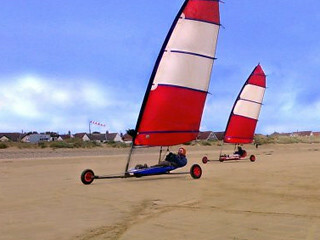 Here, we bring to you the unique outdoor sport of Land Yachting across UK. 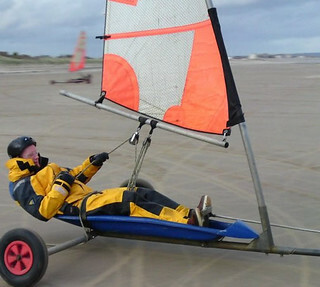 Land yachting is not just about moving across the land in a three wheeled vehicle powered by wind. It is about the fun involved in racing these specially designed vehicles over beaches, air fields, and dry lake beds in desert regions. Quite similar to ice yachting which is practiced on frozen lakes and rivers. Suited for all abilities and ages, you don't have to be a pro in sailing to try this sport. With speeds of over 40mph you are going to love them for sure. Today land yachting is evolved as a popular racing event among stag groups, hen groups and even coprorate team. Do a quick booking with us at Gobananas as our popular time slots do fill early.